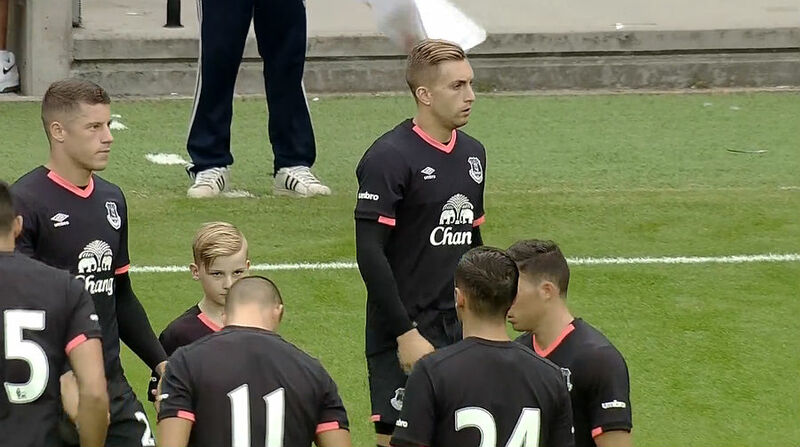 SPORTING ALERT – Watch Everton’s 2016 pre-season friendly clash against Milton Keynes Dons at Stadium MK LIVE on evertonTv. EVERTON: Stekelenburg, Coleman, Pennington, Funes Mori, Oviedo, Tarashaj, Cleverley, Davies, Mirallas, Barkley, Deulofeu. subs: Robles, Hewelt, Holgate, Stones, Galloway, Baines, Lennon, Gibson, Besic, Grant, Dowell, McGeady. The English Premier League side, under new manager Ronald Koeman, who took over the club after agreeing to leave Southampton earlier this summer, will be playing its second match on the pre-season schedule, following the 3-0 win over Barnsley last Saturday. Kick-off time for Tuesday fixture is at 2:45 ET time (7.45pm local), and both teams will be using the match-up as part of the preparations for their upcoming respective seasons. Koeman is expected to make changes to the side that started against Championship side Barnsley, as the Dutchman continues to work on different tactics and formations ahead of the 2016-17 campaign. Several players who were involved with their national teams at Euro 2016 in France and the Copa America tournament in the USA this summer, came off the bench at Oakwell, but could get the chance to feature for the Toffees from the start. Expected to miss the game, though is captain and leading defender Phil Jagielka after the centre-back picked up a knock in Austria. Meanwhile, despite looking to force a move away from the club, defender John Stones could feature from the start after the England international and Manchester City target sat out Saturday’s visit to his former club. Remember: Live coverage of the game can also be seen on ESPN3 and WatchESPN for the Everton fans living in the U.S., while livescores will be at www.livescore.com.